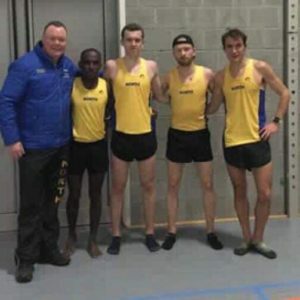 On 09/02/19 The Northern Cross Country team travelled to Rotselaar for the Belgium Cross Cup. The women were proudly represented by Lori Marshall, Nicola Devine, Jemima Elgood and Natasha Hatswell. The men fielded a strong team of Dejene Gezemu, James Douglas, Daniel Bebbington and Joe Wilkinson. Arriving at the course we quickly established that a technical race was upon us. With the course comprising mostly saturated but differing surfaces from boggy beaches, carpets and rough grass and very tight turns the going was very tough. First up were the Women and after a strong start the team maintained their positions and packed well. Terrific placings saw Nicola in 10th, Natasha 14th, Lori 16th and Jemima 19th. The lads also placed very well with Dejene having an outstanding Northern debut by pulling in an England vest to finish 13th, the rest of the team following just behind with very strong finishes with Dan 20th, Joe 21st and James 23rd. 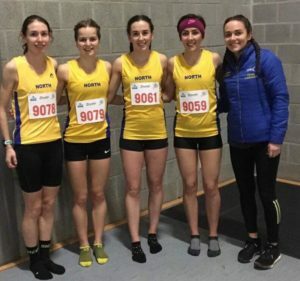 Again another valuable development opportunity for Northern athletes wearing the yellow vest with pride. Thanks must go to Rob, Judith, Steve and Pat for the planning and the athletes for being great ambassadors for Northern Athletics, their clubs, coaches and indeed themselves. 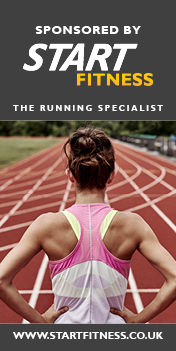 I must also mention those Northern athletes representing England – Becky Briggs from City of Hull AC had a great win in the Junior Women’s race and Lucy Crookes of Leeds City AC finished 8th in the Senior Women’s event. Thanks very much and good luck to all for the National.